As we continue our focus on entries for The Innovation in Dying Matters Award that made the long list, today we look at St Benedict’s Hospice and Centre for Specialist Palliative Care and its approach to Dying Matters Week which has had wider impact beyond the awareness-raising week held annually in May. 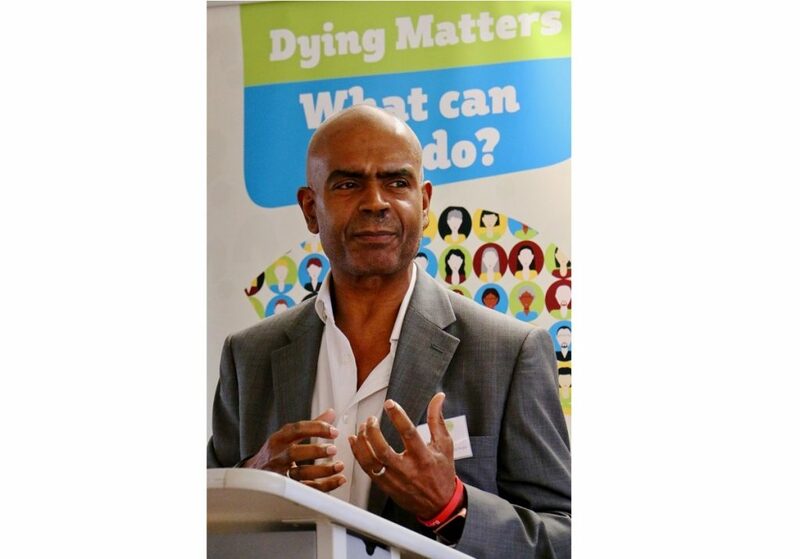 St Benedict’s Hospice & Centre for Specialist Palliative Care has been strongly committed to the Dying Matters campaign since 2009 and each year has grown its ideas to promote the national awareness-raising week and reach out to more people. In 2018 the hospice decided to make much greater use of digital and explore new, more creative ways to engage the local community in-keeping with the campaign’s theme “what can you do” – focused on their local community. 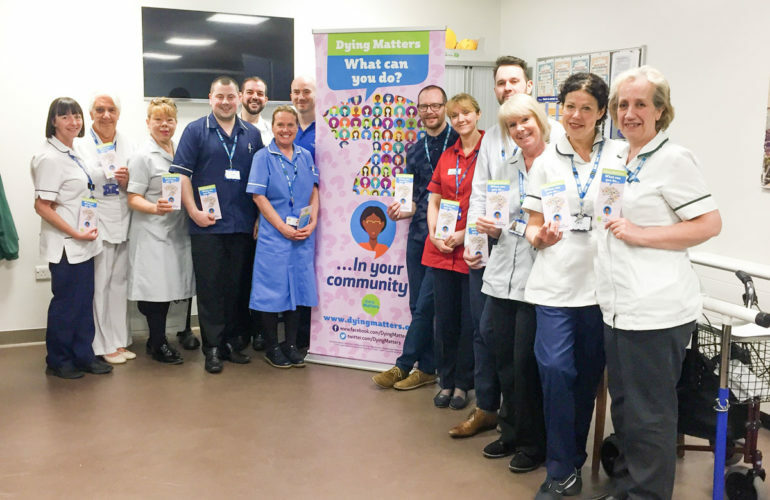 The hospice supported Dying Matters Awareness week using digital platforms and social media such as Facebook and Twitter to help spread the word and share what was happening in their local area in support of the Dying Matters campaign, reaching out to the community of Sunderland. It also promoted the campaign in 52 local GP practices and hospital waiting areas in Sunderland, largely through digital displays and television screens. The hospice kick-started Dying Matters Week with an open event held in its Education Centre which proved very popular. 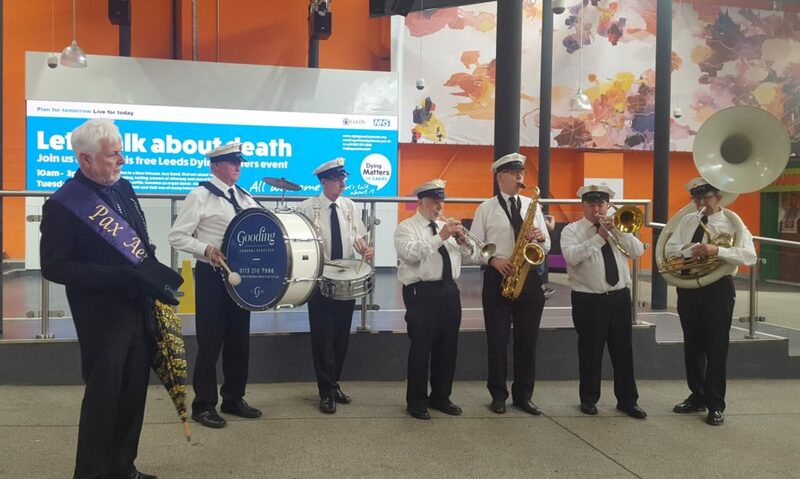 It offered information from a wide range of professionals including: funeral planning, legal advice, hospice service information, fundraising and key initiatives such as advance care planning. Information about the Gold Standards Framework and psychological support were also offered and those who attended the event had the opportunity to take part in interactive board games and respond to flash cards aimed at stimulating conversations about death and dying. There was also plenty of tea and cake on hand for visitors to help sweeten the mood. The event was well attended by staff, volunteers, patients and the general public taking up the opportunity to talk to experts on hand who provided useful informatiom and also shared their personal experiences. During the event people were invited to respond to the Dying Matters theme: “what can you do?”, and write their intentions down on a blackboard. Daycare services staff and volunteers also worked with patients encouraging them to write on the blackboard what they considered to be important to them; what they can do for themselves or with family and friends thinking towards the future. This initiative has formed the basis for subsequent advance care planning conversations between staff and patients. Visitors to the hospice continued to write on the blackboards for a further two weeks after Dying Matters Week. According to the hospice the initiative has made a noticeable difference on a personal level for patients, as well as providing a service development opportunity for staff. During Dying Matters Week St Benedict’s Hospice and Specialist Palliative Care Centre nurses, took information out into the Bridges Shopping Centre in Sunderland and talked to members of the public, creating an opportunity to talk about the campaign in a community space. The hospice has continued to display Dying Matters information in public thoroughfares and GP waiting areas. During the week a sustainability plan was agreed with staff who offered their commitment to Dying Matters as an ongoing initiative. Staff also made plans to take Dying Matters out into the community with a Death Cafe planned and interest from local schools to do some work with students and young adults, as well as local businesses that support the hospice. In addition, Dying Matters has become a regular feature in the hospice’s numerous annual fundraising events. According to the hospice Dying Matters awareness week has provided a very useful “springboard” for initiatives to continue across the year, creaing a positive impact far beyond Dying Matters Week itself and helping to make a difference on a wider scale.